Award-winning Hampstead interior architects at Callender Howorth offer all range of luxury interior design solutions in the area. From residential décor to office layout, and everything in between, we provide quality tailored solutions to the most distinct of requirements. Specialising in architectural projects in the Hampstead area of London, we seek to match our clients’ exceptionally high expectations with a correspondingly high end product. Do not hesitate to get in touch with our team to discuss your design needs. 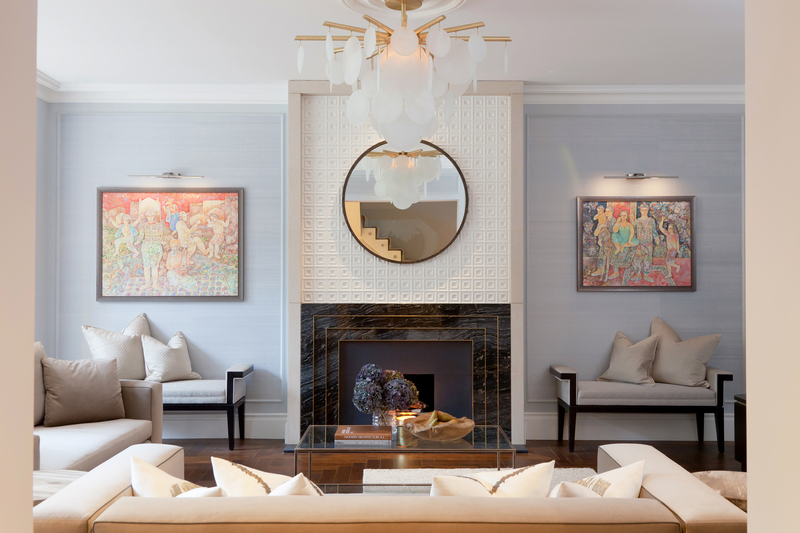 With years of experience creating luxury interior spaces in one of London’s most prestigious neighbourhoods, Hampstead, interior architects at Callender Howorth can offer a full spectrum of interior design services for both commercial and residential properties. Our team welcomes you to get in touch with us about your interior architecture needs in Hampstead. Architecture and famous listed buildings in Hampstead. A refreshing spa town until 1882, Hampstead is home to some of London’s prime real estate. Our Hampstead interior architects take great inspiration from the impressive buildings that line the region’s leafy streets. Recently undergoing a £5 million refurbishment, Kenwood House is the most iconic architectural marvel in Hampstead, while Fenton House, Keats House and the Isokon building each encapsulate the diverse array of architectural styles that can be found in the capital. Museums and exhibitions in Hampsted. From Keats’ House, to the Freud Museum, and The Camden Arts Centre, Hampstead is not short of cultural delights and rich examples of interior architecture, from the golden ages of British design. An often-overlooked gem is 2 Willow Road, the historical residence of influential Hampstead interior architect, Ernő Goldfinger. Not to be missed, this National Trust-curated property houses a remarkable collection of Goldfinger’s modern art and bespoke furniture. One of the most recent projects undertaken by our Hampstead interior architects was a luxury Belsize Park penthouse, which we transformed from a dilapidated, tired property into a spectacular family home. Located within a spectacular redbrick mansion in an appealing area, the penthouse became a comfortable and stylish space that is enjoyed by a family. Our Hampstead interior architects liaised with planning authorities to optimise the design potential of this property, all the while honouring the original charm that the building possessed. With particular requests from our clients, we ensured that the project was entirely bespoke. Restaurants, nightlife and things to do in Hampstead. Hampstead is home to a rich array of eateries, from popular national chains such as Gaucho and Aubaine, to niche restaurants such as La Cage Imaginaire, which has earned a reputation for its classically understated French Mediterranean food. Inconspicuously nestled in Heath Street, Jin Kichi is arguably the area’s worst kept culinary secret. Serving up tantalizing Japanese food at prices that don’t break the bank, is it no surprise that bookings for this bijou hotspot fill up weeks in advance. Why would you want to live in Hampstead? Which famous residents live there? From a summery dip in the ponds at the Heath, to soaking in the 17th century interior architecture of Fenton house on a grey October’s day, there is plenty to ceaselessly capture the imaginations of the refined Hampstead residents. It is not difficult to see why the area has become a local haunt for the likes of footballers, musicians and comedic icons, such as James Corden and Ricky Gervais.